Where Buck goes, I go. We are a package, unless there are some lame rules discriminating against 'dogs'. I don't even really like the word 'dog', but that's another conversation. Even without hands, I could play in the Garden...easy! Buck has hit me plenty of cloud hunters. 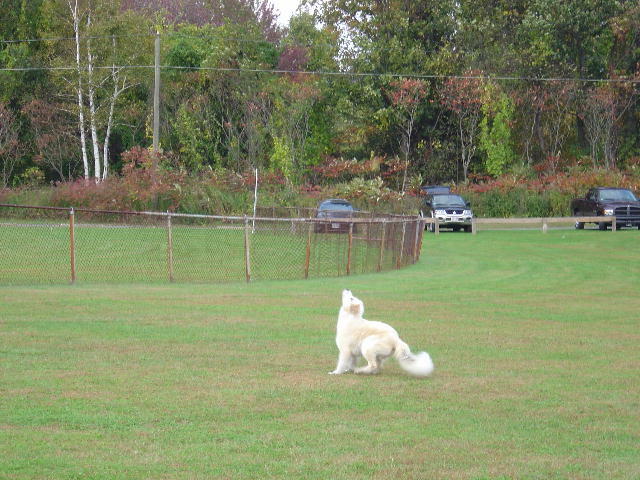 I am catching one right here; and I can run backwards faster than any of my team mates. Yes, you heard me correctly, "team mates". 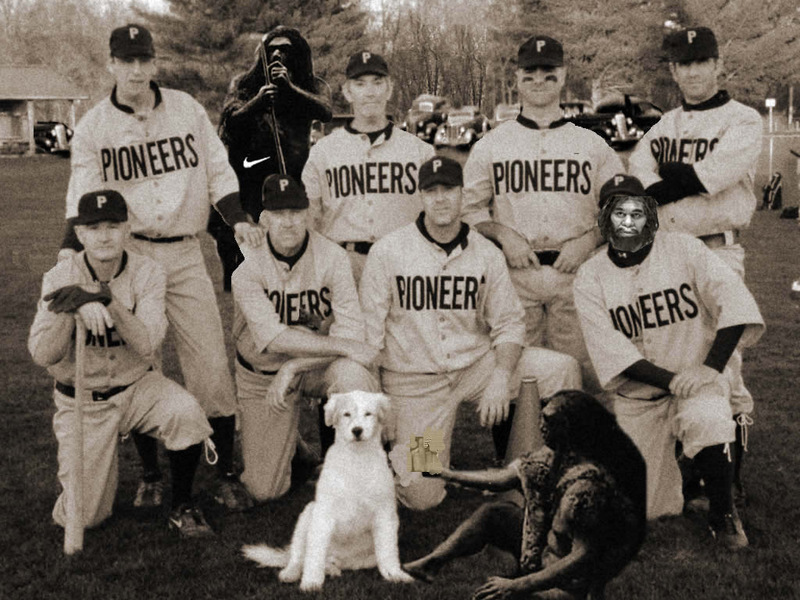 I also have a very even temperment, which comes in very useful during a game; like when a kid tries to stick something in my ear or when a Cave Man flips me a 'Bird', like in this team picture. I coulda taught him a lesson, but look, i'm lookin' straight ahead, just like a palace freakin' guard. When the Pioneers roll, Bugs rolls. Period.